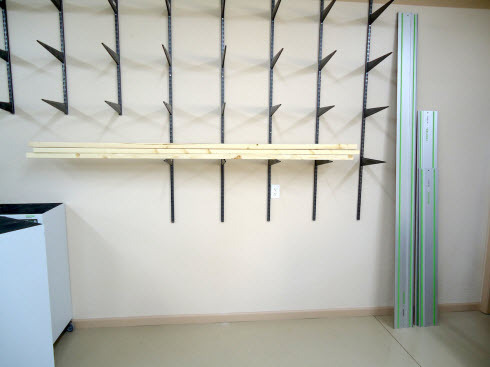 Do you want to build a steel lumber rack so you can clean up and organize your shed or garage? Then this set of plans and directions will show you how! Keep in mind that you can tweak the plans a bit but I think I nailed it. 65 feet of hot rolled steel square tubing: 1” X 1” X .12” (11 gauge). 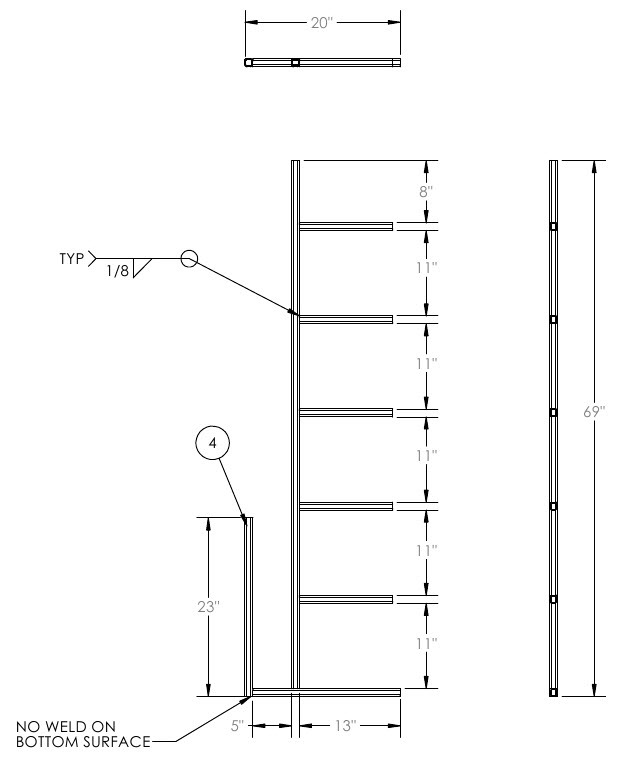 Step 1: Cut part numbers LR-01 (qty 20), LR-02 (qty 4), LR-03 (qty 4), LR-04 (qty 3), and LR-05 (qty 4) according to the drawing below and the cut sheet (above). 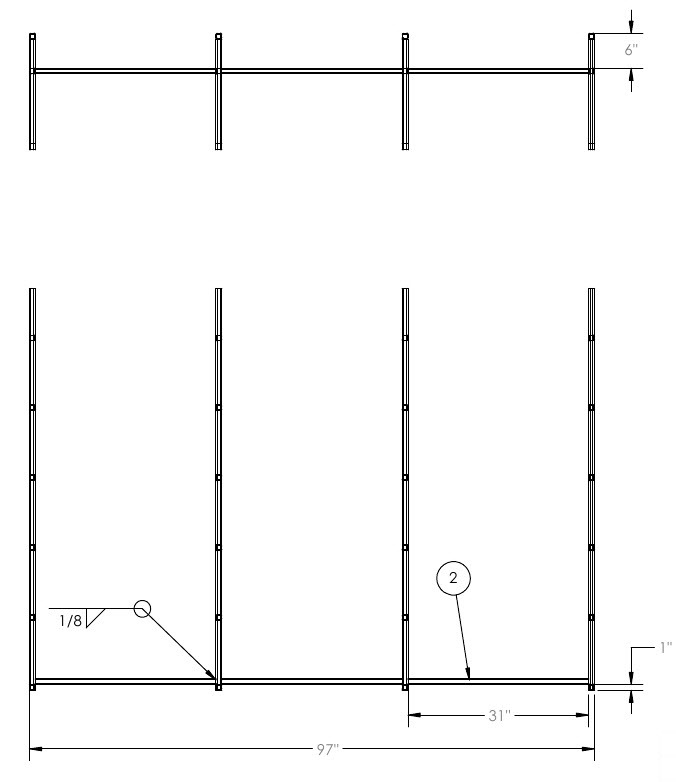 Step 2: Gather parts LR-01 (qty 5), LR-02 (qty 1), LR-03 (qty 1), and LR-05 (qty 1) and lay them out on the welding surface. Position them according to the drawing LR-SIDE below and tack weld the parts in place. Double check alignment and complete the welds. Repeat Step 2 four times. Use this chart and cross reference the numbers with the drawings below. Make four of these total. Step 3: Gather the lumber storage rack parts LR-SIDE and LR-04 (make three of them) and lay them out on the welding surface. 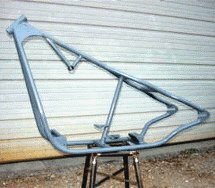 Position them according to drawing LR-WELDMENT and tack weld the parts in place. Use this chart and cross reference the item number on the left with the numbers on the illustration below. 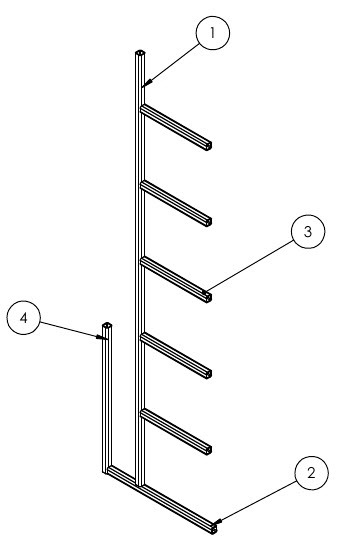 Step 4: Paint or powder coat the rack as desired. 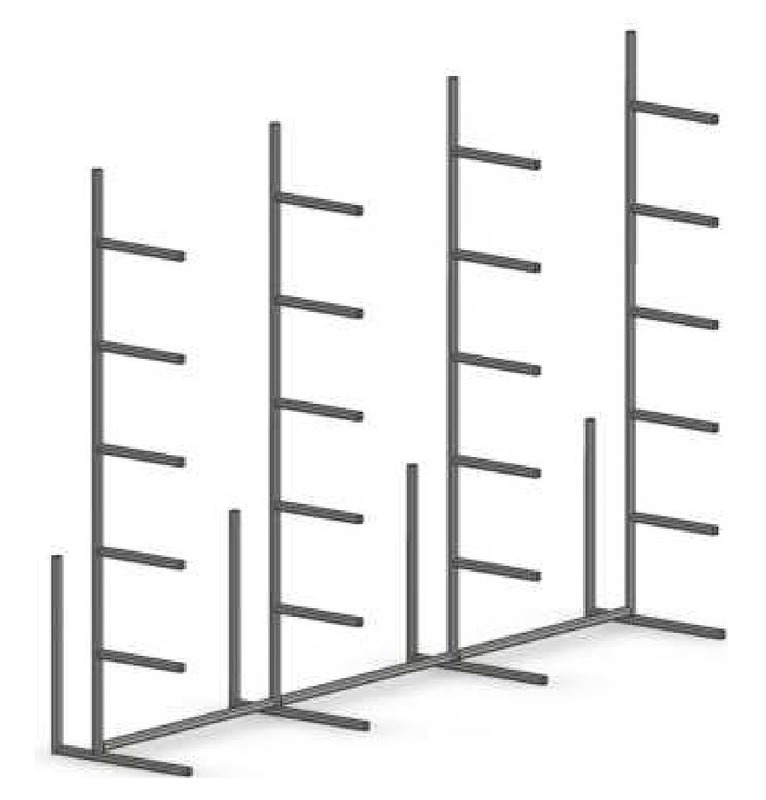 Not everyone is going to want or have room for this type of rack so here are a couple of ideas you can model. This lumber rack is mobile, and it was built by New Chinky Workshop. This is a really low cost storage rack idea that will work for a while. But it will get weak over time, especially if you move wood on and off of it frequently. However, sometimes you have to go with a really cheap solution for the time being. 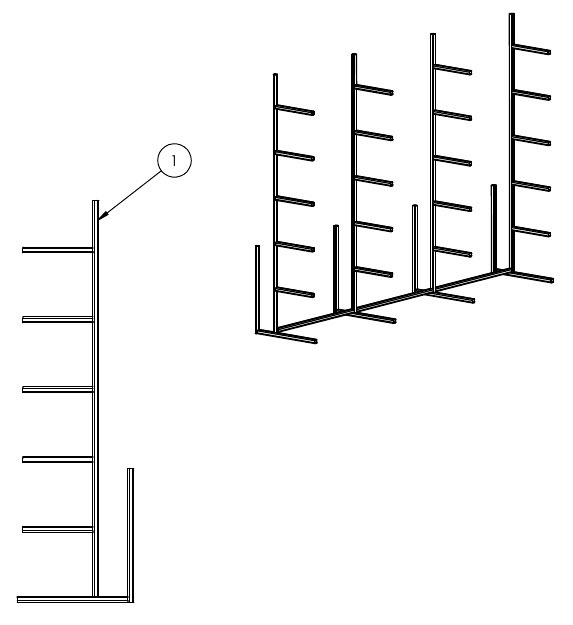 You can always replace the loose or weak shelf supports. 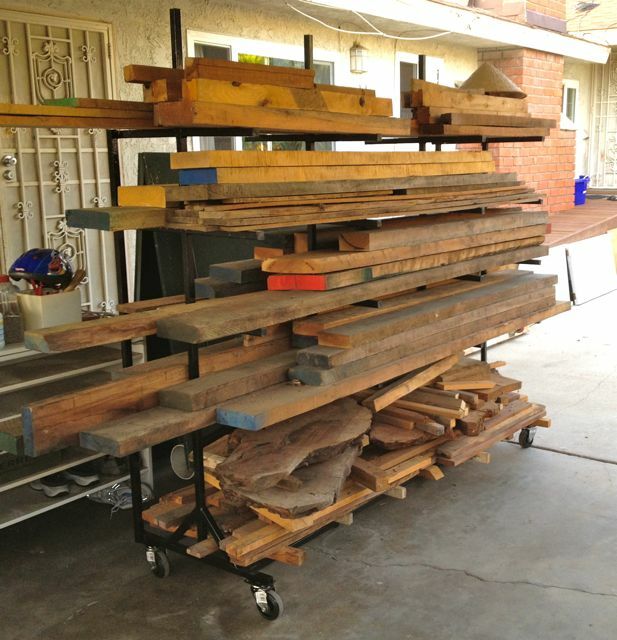 This rack was created by The Wood Whisperer. 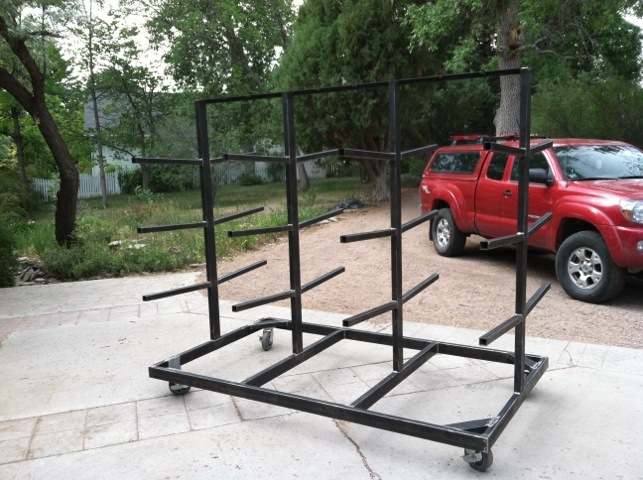 Here's another mobile wood rack idea you can model. It was built by Lightfootltd. 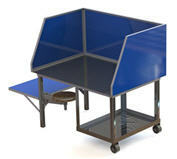 I like the mobile concept myself and will look at modifying the design above to be more mobile like this one. 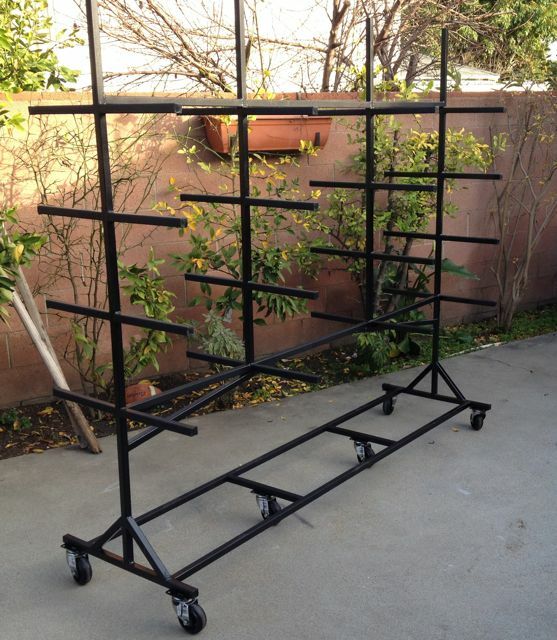 Storage Rack For Steel Rod and Bar. Shed or Garage Storage Rack.